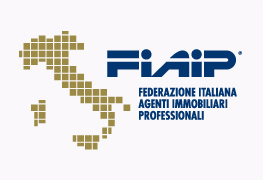 SIS Property and Tourism is a part of FIAIP Italian Federation of Professional Estate Agents. Technological and organizational innovation, professional qualification, enterprises culture, constant contact with the institutions, transparency of the market and struggling against illegal practices. These are the distinguishing features of the Federation that we represent. It’s 30 years since the FIAIP is at the disposal of the real estate and tourist agents, of the real estate advisers and promoters, administrators and real estate managers, mortgage and financing agents. And it will continue to be so. In fact our commitment has been recognized by prestigious associations as: Confedilizia, Fita-Confindustria, Tecnoborsa – Consortium of promotion of the real estate stock market, Confédération Europénne de l’Immobilier and National Association of Realtors (USA). In order to compete in a market that is everyday more global, there cannot be limits to the mutual exchange between the various realities regarding the “brick”; both in Italy and abroad. A winning philosophy and with an eye to the future that has always characterized our Federation which is divided in 99 provincial and regional colleges/committees. Well, our figures speak for themselves: more than 25 thousand agents, of whom more than 9 thousand are owners of real estate agencies spread out over the national territory. Excuse me, but this is not a trifle! Now there is nothing left for you but to find out about us, entering directly in FIAIP world. of real estate agents established in 1976, it represents in Italy more than 25000 of them, of which 9000 agency owners. present all over Italy, with regional and provincial centres and aiming at the foreign markets. that operate in full autonomy, stimulating mutual exchange between colleagues, in the total respect of the ethical code. advisers who operate in a continuous dynamic and modern market in constant growth that keep themselves up-to-date in order to give the customer the best of the services. In image, communication and behaviour. The Italian Federation of Professional Real Estate Agents, the only association composed solely of real-estate agents, was founded in 1976 and now has about 10000 members, spread throughout Italy in 20 Regions. It is estimated that there is an overall total of 25,000 Agencies in Italy. The National Council of FIAIP is composed of 126 members, being the 83 Regional and Provincial Presidents plus 43 elected members. The National Executive Committee consists of 21 members. There are 16 committees to govern various sectors of activity: Public Offices, Tourism Offices, Computers, The Press, National Workers Contract, Social benefits and rebates, Training, Research, Foreign Affairs, Counselling, Political Relations, Territorial Organizations, Image and Public Relations, Home legislation, Conventions, Profession legislation. Membership is strictly on a personal basis, and included in the membership fees is an insurance policy against professional responsibility. FIAIP, being officially recognized by the governmental authorities, has two members on most of the Italian Provincial Examination Committees of the Chamber of Trade and Commerce, examining aspiring candidates to the profession. It has its own Code of Ethics and is very active in promoting training courses and professionalism generally. It produces standard contract forms for use by its members, which are constantly updated. FIAIP publishes a bi-monthly news magazine and a bi-annual publication of the member’s directory. FIAIP has signed a worker’s contract with the State authorities, setting down special conditions for employees of real-estate agencies. FIAIP is preparing the National Referral Rules and in collaboration with CEI, the International Referral Rules. FIAIP is an active member of CEI, Confedaration Europeenne de l’Immobilier.